This month, instead of singles, I have opted to write about albums- yes, I know that sometimes, the album can faze the usual buyer and that sometimes the greatest hits or re-release can really get under one’s skin but over the past few weeks, there have been several releases which cannot be ignored. ‘I was not looking for arty farty love,’ the introduction to their latest single, ’10 000 Nights, and certainly not in the running for most original lyrics of the year but this Danish sensation have taken Europe by storm and have put the pop back into pop music. 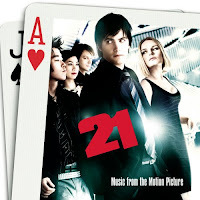 Seen on many prediction lists at the start of 2008 as a band to look out for they have certainly lived up to their expectation and have surpassed in many cases. When I first heard 'Fascination' at the beginning of the year, I was instantly intrigued, was it the quirky, colourful video? Was it the mix of genres within one song (previously described as a dance style pop song with indie vibes) or was it just the simple fact that this band promised fun? 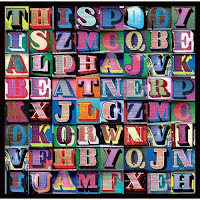 I think the answer is a culmination of all these, and after the release of their second single, '10,000 Night's', I was finally persuaded to preorder this album. With the looming release, they were gradually getting increasing airplay and despite their critics- I think everyone would crack a smile, cheesy pop had certainly returned and I don't think this is a problem, in the 80's and 90's, this was a benchmark and with it's return, the bar has only been set higher. The day of release arrived and after reading neutral to positive reviews of this album, all I could do now was listen and at 10 tracks, the party is just the right length! Opener, 'Fantastic 6', sets the tone of the album, it would not be hard to have a party to this and this continues through the rest of the tracks, from the fast paced 'Fascination' to the slower 'Nothing But My Baby', we are never let down. Taking 80's vibes with an updated feel, we have synths galore! The UK release has a couple of different tracks to the original Danish playlist from the last year and a new version of 'Boyfriend', the 2008 version is superior! What sets out to be a fun, happy go lucky, ride ticks all the criteria boxes and does not try to be something it's not. Clearly, the soundtrack to your summer! It's been a while since Chris Martin's falsetto has graced our stereo systems, but we always knew that they would return and after the major success of 'X&Y', Coldplay thought it was a time for a change. 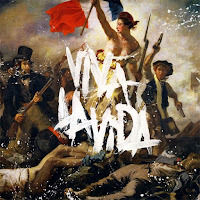 And with that end, they return with Viva La Vida, named after the 20th Mexican painting by Frida Kahlo and showing off cover art by French painter Eugène Delacroix commemorating the French Revolution of 1830. It was not long ago that we heard several names for the forthcoming album and as Coldplay were deciding on VlV, we were waiting for the album named 'Prospekt' but this only strengthen the promotion for the album and as they denied the name, the public just became more interested in what the new Coldplay album was actually called and what songs would be included. So on April 29th, the first single to come from VlV, Violet Hill would be given away as a free download for one week from Coldplay's official site and with over 2 million downloads, there was no sign of slowing down in the lead up to the new release. When looking back at the single, this marked a slight change in the style of Coldplay. Was this going to make the old fans happy? Was it going to bring in new fans? Well, there's no time like the present to experiment and Martin's falsetto was still put off as the Violet Hill was a much more conventional alternative anthem but still contained all the original vigor that made Coldplay what they were in the first place. In the week leading up the release of VlV, Coldplay decided they would allow the album to be played to selected countries from their MySpace and this was where I got my first taste of what VlV promised. When looking back at 'X&Y', 'A Rush of Blood to the Head' and 'Parachutes', there is a clear difference between the past and the present. We can see that time has been on their side this time and they have thought through their release. Boasting both new and old styles to Coldplay, they can only get better and as the summer festival starts, it turns out Coldplay are back and VlV is not just another album but with production from Brian Eno and enough experimentation, this album, is going to be a classic. 3. 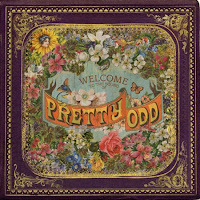 Panic at the Disco- Pretty. Odd. I have been a fan of Panic since they were Panic with a ! and their first album was certainly a one of a kind classic, it was easy to listen to and punk music was certainly coming back into fashion but three years later Panic were back with a very different sort of album. Each song is different, ranging from their punk days, to songs sounding like classic Beatles, Pretty. Odd, promises to keep you on your toes but always interested. After reading various reviews saying this was not as good as the previous and to avoid, I decided to bite the bullet and have found that this album is not only very listenable but the music itself is just as impressive as the first. A most recommended album, even without the !